On April 17, 2018, Oracle released the newest updates to Java Runtime Environment (JRE) 8: updates 171 and 172. 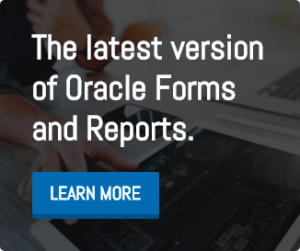 It has been reported that when users try to access an Oracle Forms application using OHS and SSL, users are unable to access the Forms application. The following error is received: “ClassNotFoundException” – “oracle.forms.engine.Main”. Fill out the form below to access this blog post.